Glutathione can be found in fresh fruit and raw meats but the content decreases with cooking. What one can do is to consume products that enhance the synthesis of glutathione within the body. For example: unprocessed meats with high content of sulfur containing amino acids for glutathione synthesis. Glutathione has a role in the mitochondrial function as part of an orchestration of various transcription factors and enzymes necessary for DNA replication. Glutathione is reduced by NADPH in the mitochondria. Proper DNA transcription factors and enzymes are essential for preventing the mutation of cells that can lead to cancer development. Glutathione is consumed in the diet in the form of glutathione peroxidase (GPx). A more effective form of glutathione in our bodies is GSH, which is made endogenously and is not found in foods. There are foods that can raise the production of GSH such as curcumin. From current research, therapeutic dosages of 3-4 mg/day of curcumin may be helpful in the management of cancer for many reasons, including the increased production of GSH. Turmeric spice would be a dietary source of curcumin but may not be enough to provide the amount needed daily for therapeutic effects. In this case a dietary supplement may be warranted. Glutathione is not an essential nutrient because it can be synthesized in the body from the amino acids L-cysteine, L-glutamic acid, and glycine. Glutathione’s reduced form is in GSH and its oxidized form is in GSSG states. Cofactors are: selenium, copper, zinc, FADPH, and FADH2. Glutathione reductase uses reduced NADH and FADH2 to generate reduced glutathione. In healthy cells, more than 90% of the total glutathione pool is in the reduced form GSH and less than 10% exists in the disulfide form GSSG. Glutathione is the major endogenous antioxidant produced by the cells, participating directly in the neutralization of free radicals and reactive oxygen compounds, as well as maintaining exogenous antioxidants such as vitamins C and E in their reduced state. It is used in metabolic and biochemical reactions such as DNA synthesis and repair, protein synthesis, prostaglandin synthesis, amino acid transport, and enzyme activation. Every system in the body can be influenced by the state of the glutathione system, particularly the immune system, the nervous system, the gastrointestinal system and the lungs. Glutathione levels are enhanced via intake of vitamin C. A daily dose of 500 mg of vitamin C may be adequate to elevate and maintain reduced glutathione concentrations in the blood. Sulfur is the active molecule in glutathione. Consuming foods rich in sulphur-containing amino acids can help boost glutathione levels. Some food sources are: Asparagus, broccoli, avocado and spinach, which can boost glutathione levels. Raw eggs, garlic and fresh unprocessed meats contain high levels of sulphur-containing amino acids and help to maintain optimal glutathione levels. Dietary suppliments such as: N-Acetyl-Cysteine (NAC), Milk Thistle, Silymarin, Alpha Lipoic Acid, Undenatured Whey Protein Isolate, Curcumin (Turmeric), Balloon Flower Root and Selenium contain substance that can boots Glutathione level. Manganese, in the form of manganese superoxide dismutase, is also involved in redox reaction regulation in the mitochondria. This form of manganese is needed to create H2O2 that participates in the reduction of glutathione previously mentioned. After the reduction of glutathione the H2O2 supplied is turned into water. Linus Pauling has a suggested intake of 1.8mg/day for females and 2.3mg/day for males as an adequate intake of manganese. Current research has not indicated if there is a higher therapeutic dose that is appropriate for cancer patients, although for disease prevention in other medical conditions, such as osteoporosis, a dose of 5 mg/day was recommended. Pecans and cooked brown rice are both good dietary sources of manganese with 1 ounce of pecans containing 1.28 mg and ½ cup of brown rice containing 1.07 mg.
Coenzyme Q-10 is an oil-soluble vitamin-like substance, and present in most eukaryotic cells primarily located in the mitochondria. It is a component of the electron transport chain and participates in aerobic cellular respiration, generating energy in the form of ATP. Ninety-five percent of the human body’s energy is generated this way. Many people use coenzyme Q-10 for treating heart and blood vessel conditions such as congestive heart failure (CHF), chest pain (angina), high blood pressure, and heart problems linked to certain cancer drugs. It is also used for diabetes, gum disease, breast cancer, Huntington’s disease, Parkinson’s disease, muscular dystrophy, increasing exercise tolerance, chronic fatigue syndrome (CFS), and Lyme disease. One can get CoQ10 by eating small amounts of meats and seafood. 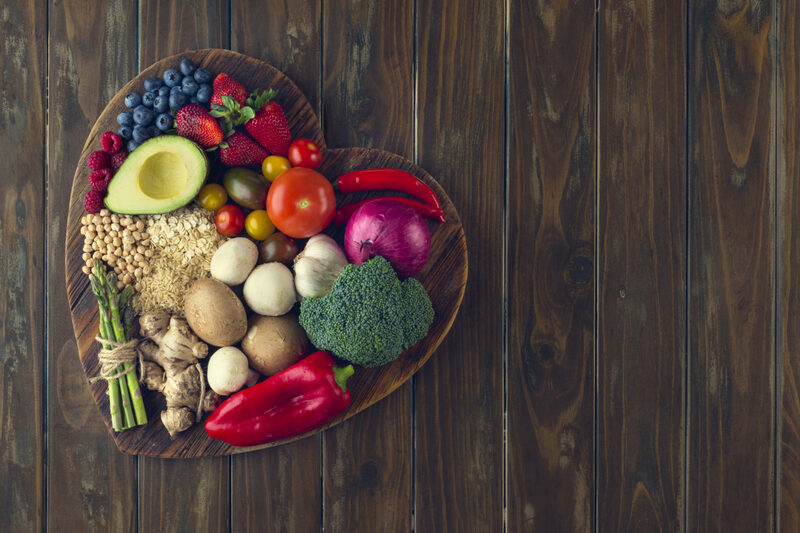 Other foods containing Coenzyme Q10 include rice bran, soy beans, nuts (hazel, pistachio), sesame seeds, and vegetables (cabbage, spinach, potato, onion, and carrot). Coenzyme Q-10 can also be made in a laboratory. It is used as medicine. Therapeutic dosages of CoQ10 for cancer range from 200 to 600 mg per day. As a general nutritional supplement, daily doses of CoQ10 range from 5 to 300 mg.
Coenzyme Q10 is involved in the mitochondrial function as an antioxidant to help balance out the creation of ROS in various processes. Reactive oxygen species (ROS) are produced in several reactions taking place in the mitochondria, including the reaction of NADH—→NAD+ which results in a free floating H+ molecule. According to Linus Pauling, coenzyme Q10 can help to protect proteins in the mitochondrial membrane and decrease the oxidative damage due to lipid peroxidation. The role of coenzyme Q10 in the mitochondria is important in the aspects of cancer because excessive amounts of ROS can cause mitochondrial DNA damage to the cell resulting in altered cell metabolism and growth. Although clinical trials have not provided adequate evidence on a proper therapeutic dosage for coenzyme Q10 in the treatment of cancer, other trials on various disease states have recommended 100-300 mg/day. Most foods tend to have low amounts of coenzyme Q10 and fried meats are some of the best sources with fried beef having 2.6 mg/3 ounces and marinated herring having 2.3 mg/3 ounces. It may be necessary to provide an additional supplement of this antioxidant to cancer patients since it may be very hard to consume adequate amounts through diet alone. Lipoic acid is a non-vitamin nutrient that is essential to life. It is not classified as a vitamin because it is produced in the body, but it is not clear that we produce optimal amounts in all conditions. Lipoic acid (LA) is also known as alpha lipoic acid (ALA). Lipoic acid helps convert pyruvate into acetyl coenzyme A, a main fuel driving the Krebs’ cycle. Lipoic acid is also involved in alpha-ketoglutarate dehydrogenase, a key energy process in the Krebs’ cycle. Even though our bodies are capable of manufacturing lipoic acid, we still need to get an additional supply from our diet or from supplements. In nature, the richest food sources of alpha-lipoic acid are: red meat, spinach, broccoli, and yeast (particularly Brewer’s yeast). The therapeutic dose for lipoic acid is 600 mg. Some health care professionals recommend 30 mg to 150 mg of Lipic acid per day, as needed. Lipoic acid supplementation is appropriate wherever increased energy is needed to meet the demands of life. This includes support for athletics, repairing and protecting the liver, energy for the brain, the immune system, and overall vitality. Lipoic acid is also indicated for antioxidant or toxicity protection. Ellagic acid inhibits chemical-induced esophageal carcinogenesis, down-regulates insulin-like growth factor IGF-II and activates p53/p21 expression, leading to cell cycle arrest at the G1/S phase and apoptosis. “Ellagic acid’s ability to induce detoxification enzymes NADPH and quinone reductase contribute to some of its chemopreventive activity” I would suggest eating 1 cup of raspberries per day as well as strawberries, blueberries, blackberries, walnuts and pecans. A naturally occurring plant flavone (4′, 5, 7,-trihydroxyflavone) abundantly present in common fruits and vegetables including parsley, onions, oranges, tea, chamomile, wheat sprouts and some seasonings. Apigenin has been shown to possess remarkable anti-inflammatory, antioxidant and anti-carcinogenic properties. Apigenine cuts off the blood supply to a tumor similarly to the drug Avastin. Apigenin has also been shown to inhibit the expression of HIF-1·and VEGF via the PI3K/Akt/p70S6K1 and HDM2/p53 pathways in human ovarian cancer cells. I would suggest eating 1/4 cup fresh parsley daily as well as eating 2 raw garlic cloves daily and drinking 3 cups of green tea daily. All of these foods have apigenin in them, parsley being the most abundant source. Catechins are key components of teas that have antiproliferative properties. Among them epigallocatechin-3-gallate (EGCG) has significant effects against tumorigenesis and tumor growth. EGCG is a catechin found in green tea that helps initiate apoptosis. EGCG invokes Bax oligomerization and depolarization of mitochondrial membranes to facilitate cytochrome c release into cytosol. EGCG exhibits direct inhibition of antiapoptotic Bcl-2 family proteins. A good way to get EGCG in the diet is to drink green tea, either loose leaf or a more concentrated powdered form. I would suggest drinking at least 4 cups per day of the more concentrated powdered form that contains a higher amount of ECGC. The polyphenol epigallocatechin-3-gallate (EGCG) found in green tea has been shown to inhibit the MAP kinase signaling and decrease the over-expression of platelet-derived growth factor that promotes cell proliferation. The American Cancer Research Institute lists green tea as a current potential cancer reducing food. According to the latest research 5 cups a day or more of green tea may reduce the risk of oral, prostate, liver and endometrial cancer. I would recommend to cancer patients drinking a few cups of green tea daily unless contraindicated. Most people do not drink five cups a day, but even 1-2 cups offers some benefit. Green tea extracts: Polyphenols and flavonoids are the therapeutically active constituents in green tea. In particular, the flavonoids have been shown to induce apoptosis and inhibit cancer. Therapeutic doses of green tea extracts vary from 400 to 2000 micrograms up to 2 times per day. 4-6 tea bags provide about 400 micrograms of extracts. Chinese green tea may be slightly bitter compared to Japanese green tea so taste preference may dictate which type is used. Multiple bags of tea may be used in smaller amounts of water to concentrate extracts and reduce the amount of liquid tea that one drinks each day, and supplements in the form of capsules may also be taken. The predominant polyphenols in green tea―EGCG, EGC, ECG, and EC have substantial free radical scavenging activity similar to melatonin that helps to protect healthy cells from DNA damage caused by reactive cells, or cancer cells. They are also known to inhibit tumor cell proliferation, induce apoptosis and inhibit angiogenesis and tumor invasiveness. Suggested daily intake is 8 doses varying from 400 – 1200 milligrams twice per day. 1 dose = about 4 to 6 tea bags, I would recommend supplementation as well as that’s an awful lot of green tea. Many studies have been done on the antioxidant properties (free radical scavenging) of Green Tea polyphenols. It’s effects in the Mitochondria of cancer cells induces apoptosis via Apaf-1 accumulation and caspase-3 activation1. One study showed the significance of caspase -3 in this cell signaling process with green tea, by introducing the polyphenols to cancer cells void of caspase 3. The decrease mitochondrial activity remained, but apoptosis did not occur void of caspase -3. Therapeutic dose of green tea is still noted differently in different text and research, but it seems to lie between 7-10 cups per day. There are noted side effects in some people such as, dizziness, nausea, stomach ache, and GI issues. Vitamin B6 (Pyridoxine) is involved in amino acid metabolism. A more recent JAMA cohort study suggests its significance, along with Methionine, in the reduction of risk of lung cancer. Serum B6, methionine, B12, B9, and B2 levels were measured in just over 380,000 participants from 1992-2000. Results over that time frame showed a significant reduction in the risk of lung cancer in those with elevated serum levels of B6 & Methionine. The mechanism may be the protective role in the PLP pathway converting homocysteine to cysteine and as a coenzyme in folate metabolism pathway and in the synthesis of MTHF (Synthesis, repair, and methylation of DNA). Animal studies have suggested the anti-carcinogenic effect is via reduction of: cell proliferation, oxidative stress, NO production, and angiogenesis. The therapeutic dosage of B6 is dependent on the source. The cohort did not express specific B6 supplementation levels since the assessed serum levels and relied on dietary habits of the participants. The noted Tolerable Upper Intake in adults is 100mg/day. The concern for high level dosing for a long period of time would be neurological symptoms such as sensory neuropathies, nausea, dizziness, and respiratory issues. Milk thistle’s active compound silymarin was found to block damage from UV rays that induce cell apoptosis by reducing the production of cyclobutane pyrimidine dimers. This compound promoted the production of nucleotide excision repair (NER) genes that help cut out mutations in DNA such as a pyrimidine dimers. This was only demonstrated in healthy normal cells in vitro so more research is needed. According to NYU Langone Medical Center the standard daily dose of milk thistle is around 100-200 mg 2x’s a day. The phytochemical ellagitannin found in pomegranate juice has been shown to inhibit cell proliferation and induce apotosis in colon cancer cells by reducing COX2 expression; acting as a natural anti-inflammatory agent. Other studies found that it can inhibit growth and promote apoptosis by decreasing IGF-1 mRNA expression and certain tumor specific growth factors. There have not been many clinical trials studying pomegrante juice in people yet. However, one study found benefit for patients with as little as 8 ounces daily. With the current research it appears that a glass a day of pomegranate juice may offer benefit to colon or prostate cancer patients. Resveratrol (3,5,4′-trihydroxy-trans-stilbene), a polyphenol compound, is derived from natural products such as the skin of red grapes, blueberries and cranberries. Resveratrol can inhibit cancer cell growth and induce apoptosis. In the skin, resveratrol has been reported to sensitize keratinocytes to UVA induced apoptosis. Resveratrol causes massive oxidative stress in mitochondria (this is interesting as resveratrol in most physiologic cases asserts it positive health benefits as an antioxidant, quenching oxidative stress). As a consequence of oxidative stress, the mitochondrial membrane potential decreases which results in opening of the mitochondrial pores ultimately leading to apoptosis in human keratinocytes. Though specific resveratrol dosing needs are still largely unknown, in the case of skin cancer, relatively large doses that would be found in multiple handfuls of blueberries or grapes (200-400mg) daily would be recommended. Resveratrol has been found to increase the expression and activity of the phase II enzyme NAD(P)H:quinone reductase in cultured cells. Resveratrol has been found to induce cell cycle arrest when added to cancer cells grown in culture. Resveratrol has been found to inhibit proliferation and induce apoptosis in a number of cancer cell lines. Resveratrol has been found to inhibit the activity of at least one type of matrix metalloproteinase. To fuel their rapid growth, invasive tumors must also develop new blood vessels by a process known as angiogenesis. Resveratrol has been found to inhibit angiogenesis. Resveratrol is found in grapes, wine, grape juice, peanuts, and berries of Vaccinum species, including blueberries, bilberries, and cranberries. In grapes, resveratrol is found only in the skins. Consequently, white and rosé wines generally contain less resveratrol than red wines. Red or purple grape juices may also be good sources of Resveratrol. Red wine extracts and red grape extracts containing resveratrol and other polyphenols are also available in the U.S. as dietary supplements. Resveratrol supplements may contain anywhere from 10-50 mg of resveratrol, but the effective doses for chronic disease prevention in humans are not known. Unlike normal cells, cancer cells proliferate rapidly and are unable to respond to cell death signals that initiate apoptosis. Resveratrol has been found to inhibit proliferation and induce apoptosis in a number of cancer cell lines [reviewed in. Resveratrol is found in grapes, wine, grape juice, peanuts, and berries of Vaccinum species, including blueberries, bilberries, and cranberries. Resveratrol supplements may contain anywhere from 10-50 mg of resveratrol, but the effective doses for chronic disease prevention in humans are not known. This is a polyphenol compound commomly known to be found in red wine and grapes, but is also found in peanuts and some berries. Research has indicated that this phytochemical has the ability to increase the expression and the activity of the phase II enzyme NADPH. Other possible anti-cancer properties include cell apoptosis and the prevention of angiogenesis. Resveratrol supplements contain anywhere from 10 to 50mg of this phytochemical. I would recommend to cancer patients to increase daily consumption of red grapes, peanuts, and some berries such as blueberries, bilberries, and cranberries. I would be hesitant to tell a cancer patient to drink red wine in any amount daily, even though red wine contains the most resveratrol. Cruciferous vegetables contain a variety of glucosinolates, each of which forms a different isothiocyanate when hydrolyzed. Studies have shown that the isothiocyanate extract of broccoli sprouts activated the mitochondria-mediated apoptosis pathway and halted cells in S and M phases. Cell cycle arrest was associated with down-regulation of Cdc25C and disruption of mitotic spindles. Cruciferous vegetables, such as bok choy, broccoli, Brussel/Broccoli sprouts, cabbage, cauliflower, horseradish, kale, kohlrabi, mustard, radish, rutabaga, turnip, and watercress, are rich sources of glucosinolate precursors of isothiocyanates. Dosing recommendations is a grey area in cancer research. I would recommend a minimum of 2 servings of raw cruciferous vegetables daily. Brussel Sprouts contain the highest levels of glucosinolates at 104mg per 1/2 cup serving. Cruciferous vegetable extracts: Glucosinolates and isothiocyanates (ITCs) from cruciferous vegetables are the active constituents in cruciferous vegetables which have been shown to be effective in fighting cancer. Sulforaphane in particular is the most well studied and has been shown to induce early apoptosis in cancerous cells. Therapeutic doses of cruciferous extracts are variable. Some research identifies diets high in cruciferous vegetables as contributing to the suppression of carcinogenesis . Other research suggests 200 to 400 mg per day of cruciferous extracts showed significant therapeutic effects. These may be found in supplements. Food sources include all of the vegetables in the cruciferous family such as broccoli, cabbage, Brussels sprouts, mustard greens and garden cress. Broccoli contains 0.6 mg of active constituents per half cup while broccoli sprouts contain 20 to 50 times that amount. Garden cress contains the most- a half a cup of garden cress contains 3.9 mg of active constituents so to reach a therapeutic dose of 200mg, one would have to eat-or juice- about 28 cups of the whole vegetable in one day. Curcumin (diferuloylmethane), an active component of the spice turmeric, induces apoptosis in several types of malignancies. Curcumin-induced apoptosis is accompanied by an increase of intracellular reactive oxygen species (ROS) level. These results indicated that a ROS-mediated mitochondrial pathway play an important role in the process of curcumin-induced apoptosis of human Small Cell Lung Cancer NCI-H446 cells. Curumin is found in tumeric, which is used as a spice in Indian, Southeast Asian, and Middle Eastern cuisines. Studies show relatively low bio-availabiltiy of tumeric when taken orally. The reality of ingesting enough curcumin-containing tumeric as a cancer therapy is unlikely. Due to low systemic bioavailability and the fact that curcumin is hydrophobic, reality of ingesting enough curcumin-containing tumeric as a cancer therapy is unlikely. Intravenous administration of liposome-encapsulated curcumin will likely be used in future clinical trials. Curcumin may function indirectly as an antioxidant by inhibiting the activity of inflammatory enzymes or by enhancing the synthesis of glutathione an important intracellular antioxidant. Studies in cell culture suggest that curcumin can increase cellular glutathione levels by enhancing the transcription of genes that encode GCL. CYP1A1 is involved in the metabolic activation of several chemical carcinogens. In cell culture and animal studies, curcumin has been found to inhibit procarcinogen bioactivation or measures of CYP1A1 activity. Several studies in animals have found that dietary curcumin increased the activity of phase II enzymes, such as glutathione S-transferases (GST’s). Curcumin has been found to induce cell-cycle arrest and apoptosis in a variety of cancer cell lines grown in culture. The mechanisms by which curcumin induces apoptosis are varied but may include inhibitory effects on several cell signaling pathways. Curcumin has been found to inhibit the activity of several matrix metalloproteinases in cell culture studies. Curcumin has been found to inhibit angiogenesis in cultured vascular endothelial cells and in an animal model. Cell lines that are resistant to certain apoptotic inducers and radiation become susceptible to apoptosis when treated in conjunction with curcumin. Food sources include tumeric however amounts of curcurmin are variable and relatively small. Curcumin extracts are available as dietary supplements without a prescription in the U.S. However, optimal doses of curcumin for cancer chemoprevention or therapeutic uses have not been established. It is unclear whether doses less than 3.6 g/day are biologically active in humans. Human clinical trials indicated no dose-limiting toxicity when administered at doses up to 10 g/day. All of these studies suggest that curcumin has enormous potential in the prevention and therapy of cancer. Defective cell-cycle regulation may result in the propagation of mutations that contribute to the development of cancer. Curcumin has been found to induce cell-cycle arrest and apoptosis in a variety of cancer cell lines grown in culture. The mechanisms by which curcumin induces apoptosis are varied but may include inhibitory effects on several cell-signaling pathways. However, not all studies have found that curcumin induces apoptosis in cancer cells. Curcumin inhibited apoptosis induced by the tumor suppressor protein p53 in cultured human colon cancer cells, and one study found that curcumin inhibited apoptosis induced by several chemotherapeutic agents in cultured breast cancer cells at concentrations of 1-10 micromoles/liter. Curry powder contains turmeric along with other spices, but the amount of curcumin in curry powders is variable and often relatively low. Curcumin extracts are also used as food-coloring agents. The first phytochemical I researched is curcumin, found in the spice turmeric. This food has long been acknowledged for its anti-cancer and anti-inflammatory properties. Curcumin has been found to reduce levels of COX-2, PLA2, and 5-LOX, which are all enzymes involved in inflammation. There is also evidence that curcumin may increase levels of cellular glutathione, an important intracellular antioxidant. In addition, evidence also suggests that curcumin may have the ability to stop angiogenesis and possibly cause apoptosis of cancer cells. Therapeutic doses appear to range from 3.6g to 8g of orally administered curcumin per day. I would recommend to cancer patients to use about a half of a tablespoon per day added to meals. I would also suggest using freshly ground pepper with turmeric, as the piperine in pepper makes the turmeric more bioavailable. The active form of vitamin D, 1,25-dihydroxyvitamin D, inhibits proliferation and stimulates the differentiation of cells. Many malignant tumors have been found to contain vitamin D receptors (VDR), including breast, lung, skin (melanoma), colon, and bone. Biologically active forms of vitamin D, such as 1,25-dihydroxyvitamin D and its analogs have been found to induce cell differentiation and/or inhibit proliferation of a number of cancerous and noncancerous cell types maintained in cell culture. The Linus Pauling Institute recommends that generally healthy adults take 2,000 IU (50 mcg) of supplemental vitamin D daily. Sun exposure, diet, skin color, and obesity have variable, substantial impact on body vitamin D levels. To adjust for individual differences and ensure adequate body vitamin D status, the Linus Pauling Institute recommends aiming for a serum 25-hydroxyvitamin D level of at least 80 nmol/L (32 ng/mL. The upper tolerable limit is 4000 IU. Food sources with high levels of vitamin D include pink salmon, sardines, makerel (all canned) and foods fortified with vitamin D.
Many types malignant tumor cells have been found to maintain vitamin D receptors (VDR) and biologically active forms of vitamin D, such as 1,25-dihydroxyvitamin D and its analogs have been shown to promote cellular apoptosis of cancerous cells. Therapeutic doses to prevent proliferation of cancer cells and promote apoptosis of cancerous cells is not well defined in the current literature. However 1100 IUs of vitamin D3 per day (with calcium), or up to 4000 IUs of vitamin D3 per day (or 2000 IUs per day with very moderate sun exposure) were shown to have positive effects in some studies. Further studies are needed for a more definitive therapeutic dose for preventing or treating cancer, however studies have shown that maintaining a serum level of 25-hydroxyvitamin D level of 52 ng/mL has been shown to reduce cancer risks significantly. Food sources of vitamin D3 are difficult to find and patients will probably need to rely on supplements. Another way of obtaining vitamin D is through sun exposure. Moderate sun exposure can provide enough UV light for a person to synthesize his own vitamin D: as little as 5-10 minutes of sun exposure on arms and legs or face and arms three times weekly between 11:00 am and 2:00 pm during the spring, summer, and fall at 42 degrees latitude should provide a light-skinned individual with adequate vitamin D and allow for storage of any excess for use during the winter with minimal risk of skin damage. However, the use of sunscreen reduces vitamin D synthesis (SPF 8 reduces it by 95%) and long-term exposure to sunlight is not recommended. Controls genes that inhibit cancer by monitoring cellular proliferation. Studies have shown that the body has cells and tissues which contain vitamin D receptors which are more difficult for the cancer to mutate and it turn promote apoptosis, a more favorable cell death than necrosis. It is also involved in controlling cellular growth and differentiation. Since there is a risk of toxicity with this photochemical, depending on height and weight and baseline serum 25 levels I would lean towards a conservative dosage of 800 – 1200 IU/d. I would also recommend incorporating mushrooms in the diet, which is a good source of D2 and fatty fish such as salmon and mackerel, which is a good sources of D3. Recently, a large case-control study found increased consumption of niacin, along with antioxidant nutrients, to be associated with decreased incidence of oral (mouth), pharyngeal (throat), and esophageal cancers in northern Italy and Switzerland. An increase in niacin intake of 6.2 mg was associated with about a 40% decrease in cases of cancers of the mouth and throat, while a 5.2 mg increase in niacin intake was associated with a similar decrease in cases of esophageal cancer. Good sources of niacin include yeast, meat, poultry, red fishes (e.g., tuna, salmon), cereals (especially fortified cereals), legumes, and seeds. Milk, green leafy vegetables, coffee, and tea also provide some niacin. In the United States, the average dietary intake of niacin is about 30 mg/day for young adult men and 20 mg/day for young adult women. In a sample of adults over the age of 60, men and women were found to have an average dietary intake of 21 mg/day and 17 mg/day, respectively. Niacin can be manufactured by the body from tryptophan with B1, B2, and B6 as essential cofactors. Niacin, or B3, is involved in the production of NAD, NADH, NADP, NADPH with is essential for fatty acid steroid synthesis, redox in glycolysis and Kreb’s cycle, ribose production, and conversion of linoleic acid into GLA. For cancer patients, NAD is used in DNA repair, and cyclic ADP-ribose may mediate cell-signaling which is important in cancer prevention. Research is limited in actual human studies with niacin but a recent case control study found increasing consumption of niacin at 5.2-6.2mg, along with other antioxidants, decreased the incidence of oral, pharyngeal, and esophageal cancers. Good sources of niacin can be found in yeast, meat, poultry, red fishes, fortified cereals, legumes, and seeds. Three ounces of chicken will contain about 7.3mg while one cup of fortified cereal will have 20-27mg. Chlorophyll is a phytochemical in plants that gives them the color green. It has a similar structure to heme, only instead of iron it has magnesium as a central atom. Chlorophyll and chlorophyllin (a semi-synthetic mixture of water-soluble sodium copper salts derived from chlorophyll) are known to bind to potential carcinogens, such as polycyclic aromatic hydrocarbons found in tobacco smoke, some heterocyclic amines found in cooked meat, and aflatoxin-B1, and inhibit their gastrointestinal absorption, thus limiting their ability to reach susceptible tissues. Chlorophyllin has antioxidant effects by decreasing the oxidative damage induced by chemical carcinogens and radiation. Limited data from animal studies indicate that chlorophyllin may increase the activity of the phase II biotransformation enzyme, quinone reductase. It also may be involved in the mechanism of inhibition of ribonucleotide reductase activity, thus inducing cell cycle arrest in colon cancer cells. A study done in China suggested that chlorophyllin supplementation before meals (100 mg three times/day for 16 weeks)can substantially decrease AFB1-induced DNA damage. Natural sources of chlorophylls are dark green leafy vegetables such as spinach (1cup=23.7 mg of chlorophyll), parsley (1/2 cup=19 mg), cress, garden (1 cup=15.6 mg), arugula (1cup=8.2 mg), leaks (1cup=7.7 mg), endive (1cup=5.2 mg), sugar peas (1cup=4.8 mg). Recent evidence suggests that vitamin K may play a role in prevention and in some cases treat certain common cancers. One of the mechanisms by which vitamin K is known to suppress tumor growth is through “oncosis” – a form of oxidative stress-activated ischemic cell death to which tumor cells are particularly susceptible. Vitamin K also induces autophagy ( autophagocytosis) in which cancer cells autodegrade due to their lysosomal machinery. In combination with vitamin C, vitamin K contributes to autoschizis of cancer cells, splitting open and spilling their contents, leading to their death. Three synergistic effects of vitamin K have been discovered: K3 inhibits DNA-building enzymes; K3 and K2 prevent angiogenesis; and K3 disrupts intracellular communication networks composed of microtubules, inhibiting cell proliferation in a coordinated manner. In hepatocellular carcinoma, K2 modifies growth factors and their receptor molecules, inhibiting tumor growth and thus stimulating apoptosis. In certain types of leukemia, K2 induces cancer cell to differentiate or turn them into normal white blood cells. Vitamin K taken synergistically with chemotherapy drugs showed a rapid suppression of lung cancer cells growth. The combination of vitamin K2 with vitamin D3 achieved good differentiation in a lab study of leukemia cells, suggesting that it might be effective therapy for both MDS ( Myelodyspalstic syndrome) and leukemia. A group of US urologists studied the combination of vitamin K3, 50 mg/day, plus vitamin C at 5,000 mg/day in prostate cancer patients and found a decrease in the velocity of rise in PSA, while increasing the time it took for PSA levels to double. The best whole food sources of vitamin K are green leafy vegetables and oils, such as kale, raw (1cup=547 mcg), swiss chard, raw (1cup=229mcg), parsley, raw (1/4cup=246 mcg), broccoli, cooked (1cup=220mcg), spinach, raw (1cup=145 mcg), soybean oil (1tbsp=25 mcg), canola oil ( 1tbsp=16.6 mcg), olive oil (1tbsp=8.1 mcg). Recent research indicates that vanadium has a role not only in the prevention but also in the therapy of several cancers. Vanadium seems to exert chemopreventive action against chemically-induced tumorigenesis by suppressing the generation of carcinogen-derived reactive metabolites and/or detoxification and elimination of reactive intermediates through specific induction of antioxidant and xenobiotic metabolizing enzymes. Vanadium may suppress the growth and spread of existing tumors by inhibiting tumor cell proliferation, inducing apoptosis and limiting the invasion and metastatic potential of neoplastic cells due to the preferential uptake of vanadium by tumor cells. Experimental findings suggest the supplementation with very low level of this element to reduce the risk of developing breast, colon and liver cancer. A study on rats indicates that 0.5 ppm (0.5 mg/kg) vanadium is potentially and optimally effective in limiting early molecular events and preneoplastic lesions, thus modulating the initiation stage of hepatocarcinogenesis. Most fats and oils contain low levels of vanadium (<0.3 μg/100g), while black pepper, parsley, dill seed, fish, mushrooms, shellfish and oysters contain relatively high amounts (12 μg/100g), cereals and grains (esp. buckwheat – up to 15 μg/100g). In addition to promoting sleep and stable circadian rhythms it can also reduce oxidative stress. Studies supports that it acts as a direct free radical scavenger and can also work as an indirect antioxidant when stimulating antioxidant enzymes, specifically glutathione reductase and glutathione peroxidase. As far as dosage, most of the research suggests, 20g, which I agree with. I would also encourage patients to increase their consumption of melatonin rich foods, such as olive oil, walnuts tomatoes etc. Melatonin at 20g qd exerts its oncostatic properties on hormonally dependent cancer in a variety of ways. At tumor cell level melatonin interferes with estrogen receptors, acting as a selective estrogen receptor modulator (SERM). It regulates activity of enzymes controlling local synthesis of estrogens, behaving as a selective estrogen enzyme modulator (SEEM). As a SERM the direct antiproliferative effect include decreasing cell number, DNA content and thymidine incorporation. Melatonin effects estradiol in the cell cycle causing a G1-S transition delay. As a SEEM melatonin blocks aromatase activity and is effective in blocking the synthesis of estrogen from testosterone. Prunus Cerasus, tart cherries, contain the highest amount. Therapeutic dose would require drinking 4,073 ounces daily so supplementation is best. Ganodermanontriol is a lanostanoid triterpene isolated from Ganoderma lucidum. This compound’s potent anti-cancer properties inhibit transcription of β-catenin and E-cadherin. Β-catenin participates in adhesion, maintenance and growth of epithelial cells. Mutations in B-catenin have been implicated in cancer. Cadherins are calcium dependent intercellular adhesion and signaling molecules that are functional to cancers in tumor proliferation and invasion. By inhibiting these molecules ganodermanontriol acts as a chemotherapeutic agent. Dose – 1.5–9g per day of crude dried mushroom, 1–1.5 grams per day in powdered form or as a tea. An 1/8 of a pound of fresh mushroom is equal to 10 g of dried. Garlic contains high levels of organosulfur (OSC) which have anti cancer properties. Studies have shown naturally occurring OSC analogues can suppress proliferation of cancer cells in culture and in vivo. “The OSC-induced changes in the proliferation of cancer cells are frequently associated with perturbations in cell cycle progression and induction of G2/M phase arrest”. The OSC induces apoptosis via the intrinsic pathway by altering the ratio of the Bcl-2 family of proteins. Dose – 2-5 g of fresh garlic = 1 clove. Chewing or crushing produces the sulfur compound allicin. I recommend 2 cloves daily. Allicin- Allium sativum L., is Garlic. Garlic is full of organosulfurs thought to prevent many infections and diseases1 & acts as an antioxidant. In regards to cancer, some in vitro studies have reported that Allicin can induce apoptosis of cancer cells via intrinsic and extrinsic pathways. “Inducing cytochrome-c release from the Mitochondria and increased Caspase-3, -8, & -9 activation, with concomitant upregulation of bax & fas expression in tumor cells”2. Therapeutic dose for aged garlic extract is a higher dose, around 2.4ml/day. Fresh garlic dosage is roughly 4g/day, about 1-2 cloves. Cooking/heating garlic can inactivate many of the active components of garlic, so supplements are often the preferred source (also due to the reduced odor). Animal studies have shown anti-carcinogenic benefit from consuming crushed fresh garlic/over uncrushed powdered garlic. Pantothenic acid or B5, is coenzyme A. it is required in the Kreb’s cycle for ATP formation, fatty acid synthesis, acetylcholine formation, and poryphyrin formation. Pantothenic acid is involved in virtually all processes of the body. It is involved in acetylation, which is important for cell division, DNA replication, gene expression, mRNA transcription, and cell signaling. It is stated that deficiencies of this vitamin is rare and there is really no mention of pantothenic acid with cancer. The only relation that I can think of is its important role in fatty acid synthesis which can be disrupted by chemotherapy causing neuropathic complications, and it role in DNA synthesis. It can be found in organ meats like liver and kidney, yeast, egg yolk, and broccoli. One whole avocado will supply about 1.99mg while one large cooked egg is 0.82mg. This is a compound formed from the breakdown of glucobrassicin, which is a sulfur-containing compound that is found in cruciferous vegetables. The oral consumption of I3C produces acid condensation products, such as 3, 3’-diindolylmethane (DIM) and indole [3, 2-b] carbazole (ICZ), which can increase the activity of some phase I and phase II enzymes that remove toxins from the body. I3C may also play a role in estrogen receptor activity, cell apoptosis, and angiogenesis. Therapeutic doses range from 200mg to 400 mg/day. Normal dietary intake ranges from 20 mg to 120 mg/day. I would recommend to cancer patients to try and consume on the upper end of normal dietary intakes by adding raw cruciferous vegetables to each meal.